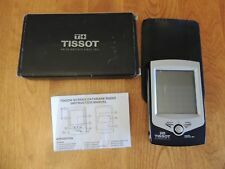 This unit has been check out and tested, and is in working condition. It has a power cord, paperwork and cd software. So you can see it powers on and the battery is good. Looking for a handheld that grows along with your needs?. Based on the award-winning Palm V handheld, the Palm m500 handheld features a sleek design and small size. And you can view all your information on a high-contrast display screen using desktop software. 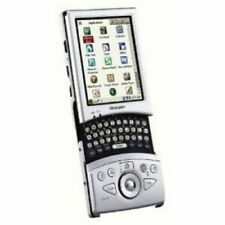 4 out of 5 stars - Palm m500 Handheld PDA Expandable Internet Email In Box - Old School Tech!! 37 product ratings37 product ratings - Palm m500 Handheld PDA Expandable Internet Email In Box - Old School Tech!! Trending at C $35.71eBay determines this price through a machine-learned model of the product's sale prices within the last 90 days. HP iPAQ H4350 Pocket PC (H4300 Series) Minty Complete w/accessories IN EXCELLENT CONDITION WAS NEW OUT OF PACKAGE INSTALLED BATTERY TO SHOW OPERATION IN PHOTOS SOFTWARE SEALED IN PACKAGE Condition is Used. Shipped with USPS Priority Mail. Dell HD02U Axim X5 USB Cradle Docking Station! Very clean with no signs of handling or use. Tested and working as you can see from the pictures. I cycled through all of the different functions and the appropriate screens showed up. Web Browsing. Imagine all the fun things you do on your PC, concentrated in the palm of your hand. Introducing the Mylo personal communicator. It connects to open 802.11b WiFi networks anywhere in the world. 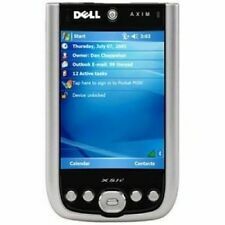 DELL AXIM X5 Pocket PC. This is a used touch screen Dell Pocket PC. It's in great shape and works well. 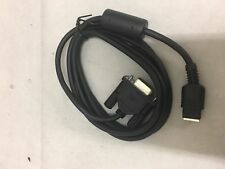 Comes with a stylus, case, 32MB Compact Flash memory card, A/C charger and USB connect cable. 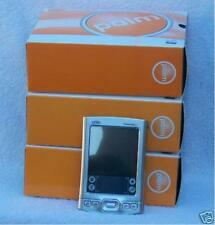 Dell Axim X5 PDA with 32MB Memory Card! Package includes:PDA. 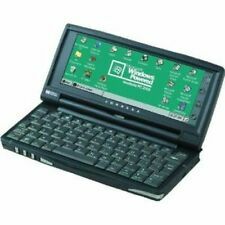 You will need ActiveSync from Microsoft to connect this PDA to your PC. This is available free from Microsoft. The HP iPAQ 110/111 Classic Handheld helps you keep your life organized on the go with easy access to your calendar, contacts, and tasks. 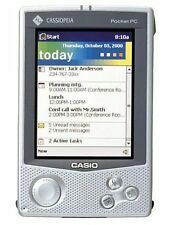 If you have some down time, use the iPAQ to watch videos, listen to music, or play games. New Sealed Palm Z22 Handheld Organizer. 4.5 out of 5 stars - New Sealed Palm Z22 Handheld Organizer. 62 product ratings62 product ratings - New Sealed Palm Z22 Handheld Organizer. SHARP ZQ-290HS Electronic Organizer. 1.5MB Memory. 11 Features Brand New Sealed! A PDA is also known as a personal digital assistant. The mobile device will help you to keep your life organized. When you want to buy a Palm or other device, it's important to know about the options available to you. A PDA is a handheld computer that is capable of fitting into the palm of your hand. It is a personal digital assistant with software that will help you to maintain your schedule. 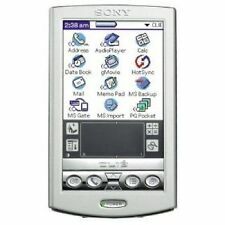 Most models, including Palm Pilots, will allow you to connect to the internet, providing you with the ability to check email and navigate in a web browser. The data that you keep on a PDA can also synchronize with other devices, such as a smartphone or laptop computer. It will ensure you have the most up-to-date version of everything. Touchscreen: You will have touchscreen technology. Wi-Fi: Most models have Wi-Fi connectivity. Memory card: There will be internal or external memory for you to store files. What kind of screen is on a PDA? The first PDA was released in 1984. Since then, there has been a lot of newly developed technology regarding the personal digital assistant and the screen. You will want to look at the different LCD screens to see what works for you. 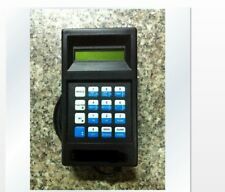 There are black & white and colour LCD screens available in different sizes, depending on the brand and model. What are some of the different features? The portable handheld will offer a variety of useful features. In addition to the operating system, you have to look at what other features are important to you. Choosing the right Palm or other handheld will make it easier for you to run your life productively. Internet browser: Allows you to go online. Memory expansion: Add memory to your handheld as needed for bigger jobs. Calendar: Have access to an electronic calendar. Email access: View your email from a Palm. Bluetooth: This feature will help with synchronization. How do you shop for a PDA? Once you decide you need a PDA, it's important to look at the features of the mini computer. You can look for a keyboard and other features to help you with the computing process. Brand: Palm and other brands are on the market. Operating system: Review the operating system that is in place to see if it suits your needs. Keyboard: Look to see if there is an external keyboard or one that shows up on a screen. Features: Review all the features included in the handheld for suitability. Compatibility: Look to see how compatible it is to the other devices that you use on a regular basis.